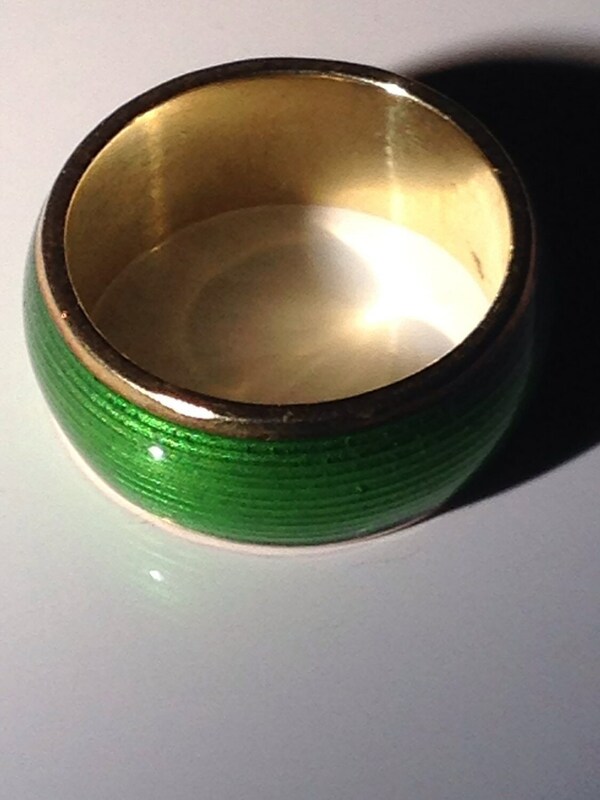 Offered is a 5 1/4 sized 18 KT gold emerald green enamel ring by Tiffany & Co., ca. 1970. This classic and enduring design is unfortunately no longer offered for sale by Tiffany & Co. and no other examples are currently available. 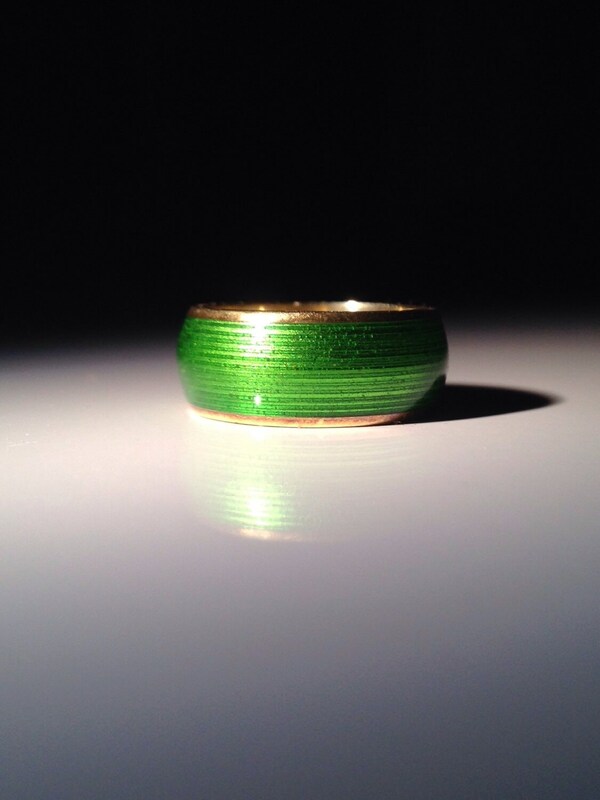 The elegant gold band is adorned with an emerald green enamel. 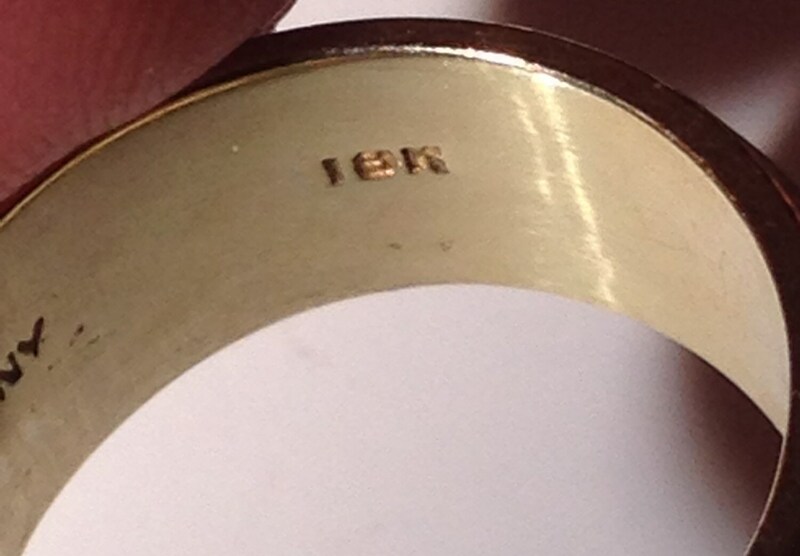 This ring is stamped 'Tiffany' and '18K'. Weight of 8.5 grams. Band is 7.75 mm. Condition is exceptional with very scant signs of wear commensurate with age and use (perhaps a minute edge dint that you may or may not be able to detect). The bad edge and interior have a rich yellow gold color. 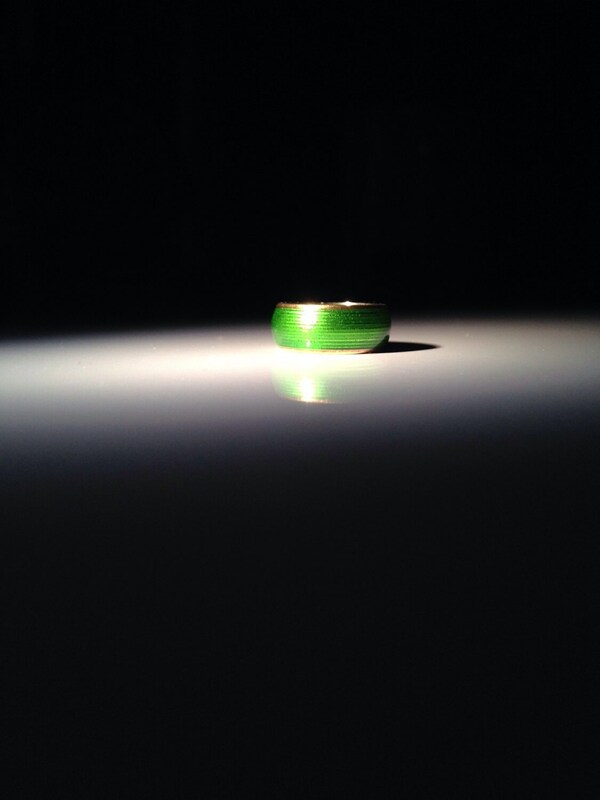 This ring is not sizable. 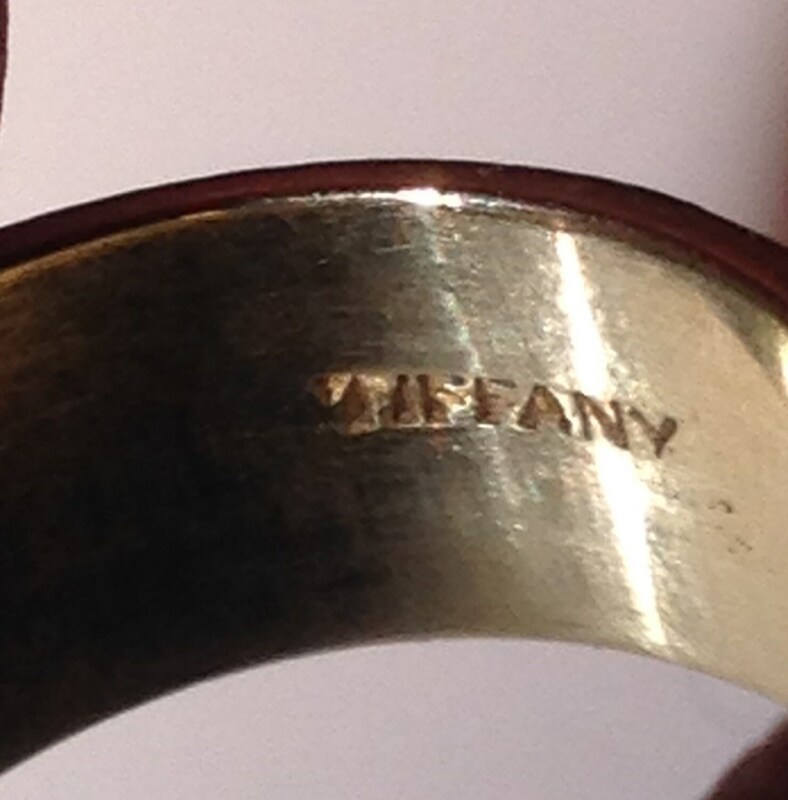 This ring has been authenticated by a third party Tiffany & Co. expert. Authenticity is fully guaranteed and warranted.